California developer MJF Development Corp. plans to start construction on its $40 million Kakaako condominium mid-rise project in January 2016, to be completed in March 2017, according to public documents recently filed. The developer said, in the 803 Waimanu St. draft environmental assessment, that it will finance the project by applying for a dwelling unit revolving fund loan through the Hawaii Housing Finance and Development Corp. and through conventional debt and equity. Additionally, the sale of the condo units will be the “take-out” source, meaning that the revenue will be used to pay off the interim construction financing. 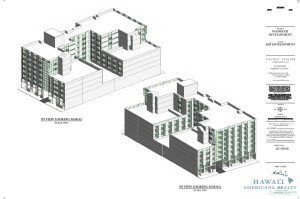 The seven-story condo will consist of 153 studio, one- and two-bedroom units and 91 parking stalls located between Waimanu and Kawaiahao Streets near Dreier Street. The site is currently occupied by a warehouse with light industrial tenants and auto repair shops. A total of 101 units are priced as affordable to the households between 80 percent of area median income (a person making $53,700 annually) and 140 percent of area median income (a person making $93,940 annually). The remaining 52 units are market rate. In March, MJF Development acquired three properties where it plans to build its 803 Waimanu St. project in the Honolulu neighborhood of Kakaako for about $5 million. 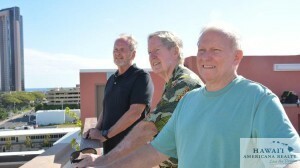 The Hawaii Community Development Authority, which oversees the redevelopment of Kakaako, approved the project about a year ago. 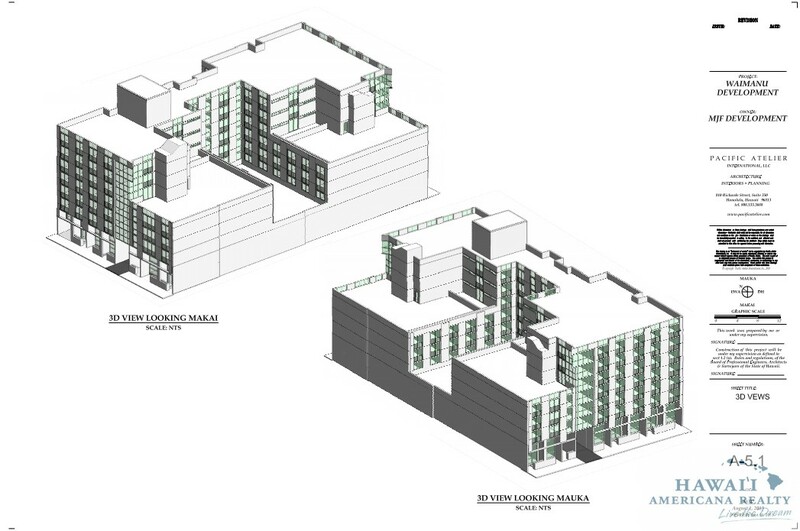 MFJ Development is headed up by developer Franco Mola, who is also developing another Honolulu condo project at 929 Pumehana St.
“Ohana Hale” is a 21-story, 180-unit affordable and workforce condo project on a 14,400-square-foot lot. 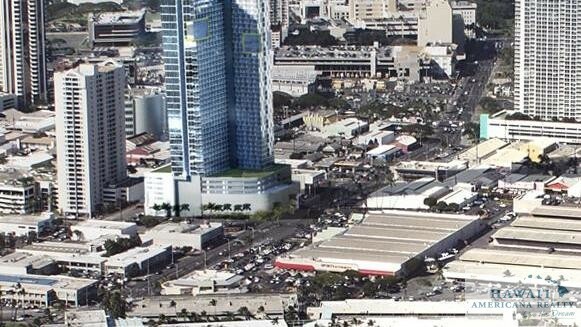 The Howard Hughes Corp. is not quite sure what its next step would be after a Hawaii agency unanimously struck down its request to move ahead with its previously approved Kakaako residential project at 988 Halekauwila as a rental project, the Texas-based developer told PBN. However, a spokeswoman for the Hawaii Community Development Authority told PBN Thursday that the developer’s lawyers indicated that they will file exceptions to their application, so the board will take final action on June 24. On Wednesday, the HCDA, which has a new set of board members, voted to deny the developer’s request to change the Ward Village project from a mostly affordable for-sale project to a rental project. 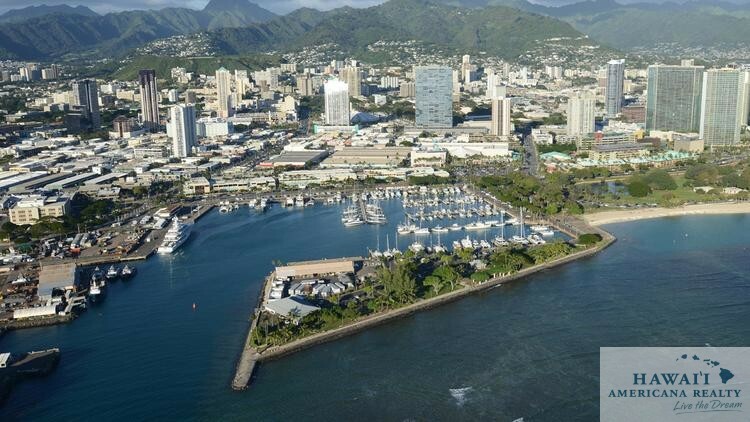 Steven Scott, vice chair of the HCDA and owner of Scott Hawaii, told PBN Thursday that the developer should abide by its original permit, which includes building a tower with 424 for-sale units, including 375 reserved units. The project’s development permit was set to expire on July 17, although the HCDA voted Wednesday to approve an extension for two years. David Striph, senior vice president for Hawaii for The Howard Hughes Corp. (NYSE: HHC), told PBN in an email that an approval of the developer’s request would have extended the length of regulations keeping the units affordable to 15 years for tenants at 80 percent to 100 percent of area median income, compared to for-sale units that would only remain affordable for two to five years for buyers at 100 percent to 140 percent of area median income. For a single person, the Honolulu area median income at 80 percent is $46,256, while it’s $57,820 at 100 percent and $80,948 at 140 percent, according to the U.S. Department of Housing and Urban Development. He noted that, in spite of this setback, Howard Hughes is dedicated to providing a wide range of housing in Honolulu for local residents. Under the HCDA’s old rules, projects could be utilized as rentals for a minimum of 15 years or longer. But in 2011, new rules came into effect that set the timer period for affordable rentals at a fixed 15 years. Then in January, Howard Hughes said it wanted to make the change from a for-sale to a rental project for 15 years. In February, Howard Hughes officially requested the ability to proceed with its 988 Halekauwila project, which will be built across from Sports Authority on Ward Avenue, as a rental development. The developer previously told PBN that if the request was approved, it would in no way impact the number of reserved housing units — 375 — provided at 988 Halekauwila, which represent three times the number of units required for phase one of Ward Village. The project, which is being planned on what is the former site of the Kanpai Bar & Grill and the current California Rock ‘N Sushi, is part of the developer’s first phase of its 60-acre Ward Village master plan. Scott told PBN that under the current rules, Howard Hughes can’t move people into its Waiea and Anaha luxury condos, which are also part of phase one, until it puts financial assurance that it will build 988 Halekauwila, or starts construction on the project. A little more than one-third of the more than 4,200 units being developed in the growing Honolulu neighborhood of Kakaako are not being built for the ultra-rich, the head of the Hawaii agency overseeing the redevelopment of the area said Wednesday. With scores of high-end condominiums being built in Kakaako, much of the talk has centered around local residents being aced out of area because of not being able to afford such sky-high prices. Anthony Ching, executive director of the Hawaii Community Development Authority, said at the agency’s monthly meeting amongst a brand new board of directors and new office and meeting spaces at the American Brewery Building in Honolulu, said that 35 percent of all housing units in Kakaako will be for qualified income households. 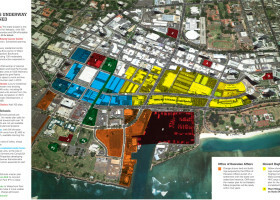 This means that there is a chunk of units in Kakaako that will be reserved for those in two categories, reserved housing and workforce housing. Reserved housing is for low or moderate income groups. The majority of “affordable housing” in Kakaako falls under this program. These developments are available to households making anywhere from 30 percent to 140 percent of area median income, which translates to a person with an annual income between $20,150 and $80,950. 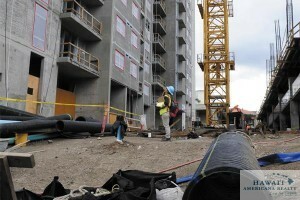 Workforce housing, unlike reserved housing, is not a requirement for residential developers under HCDA rules. 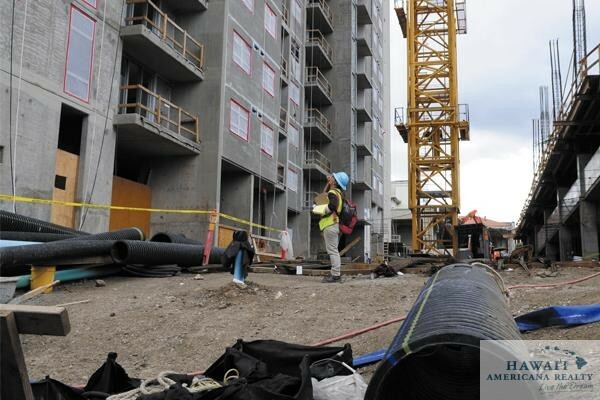 To be called a workforce housing project, the requirements are having at least 75 percent of residential units set aside for those earning between 100 percent and 140 percent area median income, which translates to an annual income for one person between $57,800 and $80,950. Ching recently told PBN that while the condos being built in Kakaako are all high-value properties, each one has different price points and there is strong local purchase. 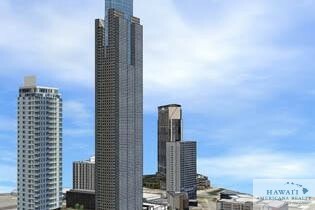 A file rendering of Forest City’s 690 Pohukaina project in Kakaako showed what the building may have looked like at 650 feet. The project, which will top out at 418 feet, may also include a school. 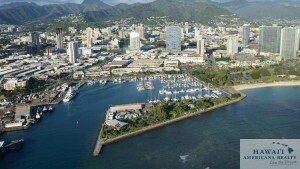 Forest City’s $500 million 690 Pohukaina mixed-use project in Honolulu’s Kakaako neighborhood, one of the first projects out of the gate at the start of the current condominium boom, could include a public elementary school, the head of the state agency overseeing the redevelopment of the area told PBN. Anthony Ching, executive director of the Hawaii Community Development Authority, recently told PBN that the 690 Pohukaina project will include a mix of uses, including market-rate rentals, below market-rate rentals — and perhaps an educational component. Ching declined to go more into detail regarding a school site at 690 Pohukaina, although the Kakaako area, which will gain thousands of new residents in at least a dozen or so condos being built in the coming years, will likely need more schools. Seagulls Schools plans to build a new preschool campus in Kakaako near the intersection of Kelikoi and Cooke streets that may include kindergarten through third grade classes as well, as first reported by PBN. 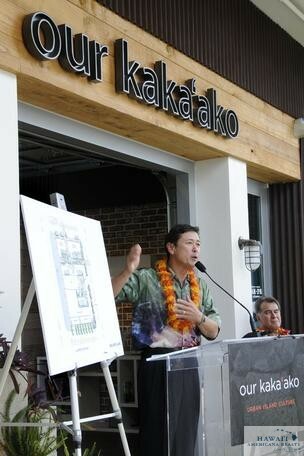 The “Kakaako First School” is expected to start construction in the middle of this year. Linda Schatz, development manager for Forest City, recently told PBN that its 690 Pohukaina project, which at one time was to include the state’s tallest building at 650 feet but will top out at 418 feet according to local laws, is still in the discussion phase with the HCDA. Schatz referred comment regarding the prospects of including a school as part of the project to the HCDA. Forest City has said its the 690 Pohukaina project would include 800 rental units, including both affordable and market-rate units. In late 2012, the HCDA selected Forest City to develop 690 Pohukaina, which is to be built on state land under a 65-year ground lease. During that time, Forest City and the HCDA began an 18-month development process, which includes doing an environmental assessment, that ended in May 2014. Auahi Street, looking toward Downtown Honolulu from Ward Avenue will be opened up when the Hawaii Community Development Authority moves the city’s coning unit branch to another spot in Kakaako. 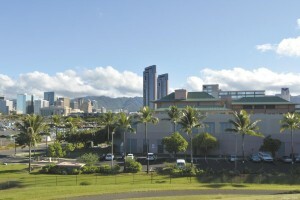 Auahi Street, an important route through the growing Honolulu neighborhood of Kakaako that currently separates The Howard Hughes Corp.’s 60-acre Ward Village master-planned community from Kamehameha Schools’ properties, is getting connected. Anthony Ching, executive director of the Hawaii Community Development Authority, the state agency regulating the redevelopment of Kakaako, said this week at its regularly scheduled meeting that the plan to open up Auahi Street should gain some traction during the first quarter of this year. Currently, Auahi Street, which starts and ends on Queen and South streets, is cut off almost in the middle from Kamani to Koula streets by the City and County of Honolulu’s Department of Facility Management’s sidewalk-nuisance ordinance and stored property ordinance program and coning unit branch. 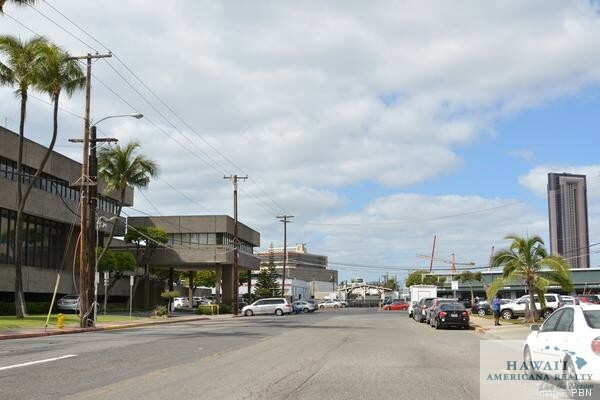 The connection of Auahi Street from Kamani and Koula streets would prove useful to both Kamehameha Schools and The Howard Hughes Corp. (NYSE: HHC) — and would connect the two developers’ mixed-use communities, providing pedestrian, bicycle and vehicular circulation. But the HCDA has proposed moving the city’s coning unit branch to the state agency’s former Look Lab Facility in Kakaako Makai, which consists of an 18,000-square-foot warehouse and 29,560-square-foot open yard space. Ching said that this property, which was previously leased by the University of Hawaii until 2003 and has since been vacant except for short-term tenants, would be a perfect fit for the branch because it would provide the city with a needed facility and enforcement of the sidewalk-nuisance ordinance program in the Kakaako Makai area. “The proximity of the branch will impact the homeless population in the area,” he said, noting that opening up Auahi Street would be a full-service effort, painting lines to show bike and pedestrian lanes.